We have a full range of fasteners available, mostly from stock or on a 24 hour delivery with brief details of them below. However we would first like to introduce this item, ‘The Staple Fastener Kit’ as we are one of the very few UK distributors with this kit that enables all end users to fit the Staple fastener for all belts from 1.5 to 6.4mm without the need of purchasing a fitting tool. This fastener in its Flexco sizes of No. 62/125/187 or its Goro/MLT sizes of MR1/MR2/MR3 is the favourite of all independent belt suppliers and fitters due to its strength and ease of installation. Please follow the pictured instructions for the ease of application details. Should you require and further help or advise please don't hesitate to get in touch. Our Plate Fasteners are easy to install with a range of simple hand tools. 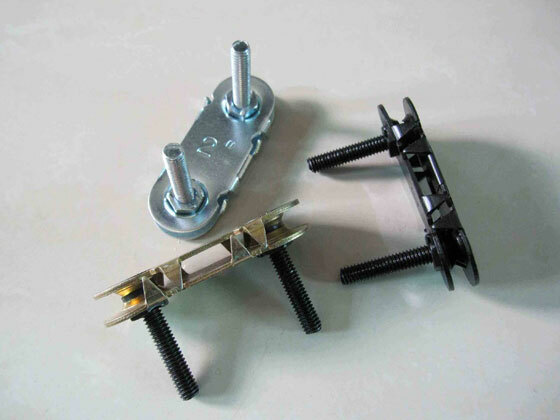 Plate fasteners are ideally suited for the quick repair of conveyor belt tears. Suitable for a wide range of belt thicknesses and widths, with excellent impact resistance. Ideal for the transportation of sand, gravel, cement, crushed stone, coal and salt. We now also have a new range of installation tools, including a quick change chuck. 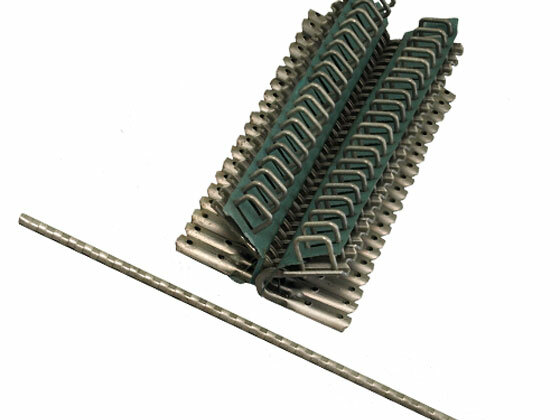 MR fasteners are quick and easy to install in most light to medium duty conveyor belts. The fastener is installed with the simple hand operated MR FIX tool. The tool holds the belt and fastens whilst the staples are driven through the belt with a punch and hammer. Suitable for baggage handling, food industry and agricultural equipment. 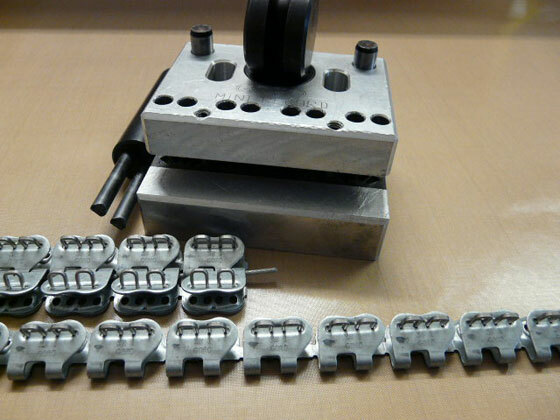 We also have this fastener style available as a kit with disposable tool. 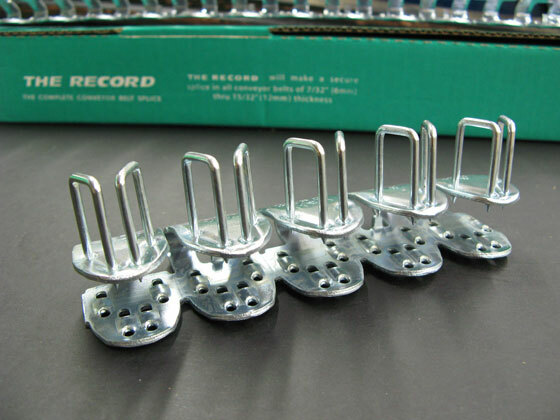 The Record V6 is a solid strip fastener, with one complete strip being installed on the conveyor belt across the full width. One single fastener size is suitable for a wide range of belt thicknesses. The fasteners are installed with Record V6 hammer tool. Suitable for use in underground mining, construction and aggregate plants. 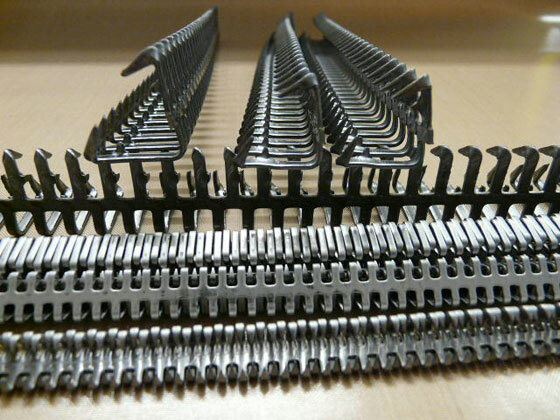 Baler belt fasteners, for use in the agricultural industry conveyor belts. These fasteners are an equivalent to the ever popular ‘Alligator’ style and are an ideal quick fix for every industry with easy installation with the use of just a hammer (and a bit of patience…). They are manufactured from a solid steel strip producing a flat low profile lacing. It has a short reach into the belt making it suitable for applications with small pulleys. Stainless Steel versions are available for use in the food industry. All of the fasteners detailed come in various sizes and full technical details, can be supplied by return if required. Please contact us for any fastener requirement as we have an excellent stock range and availability of non-stock items within 24 hours.